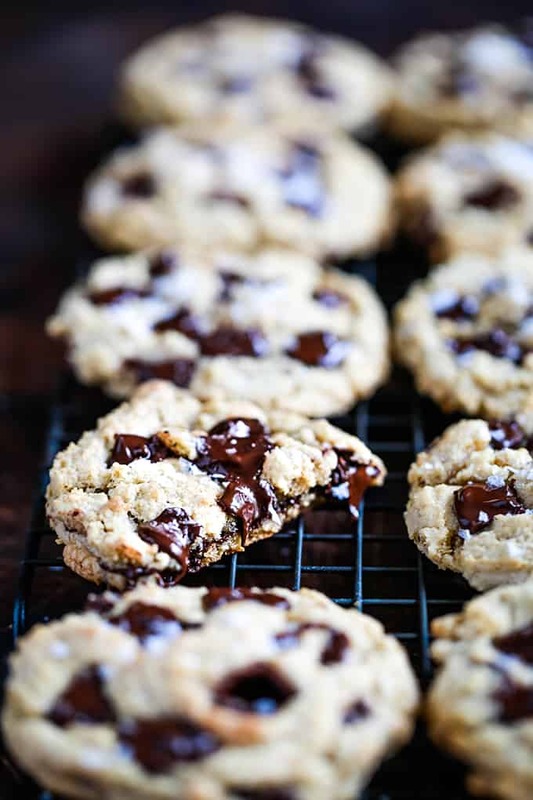 Studded with dark chocolate chunks and sprinkled with sea salt flakes, these soft and chewy Salted Chocolate Chunk Cookies are insanely delicious. So I’ll be honest. 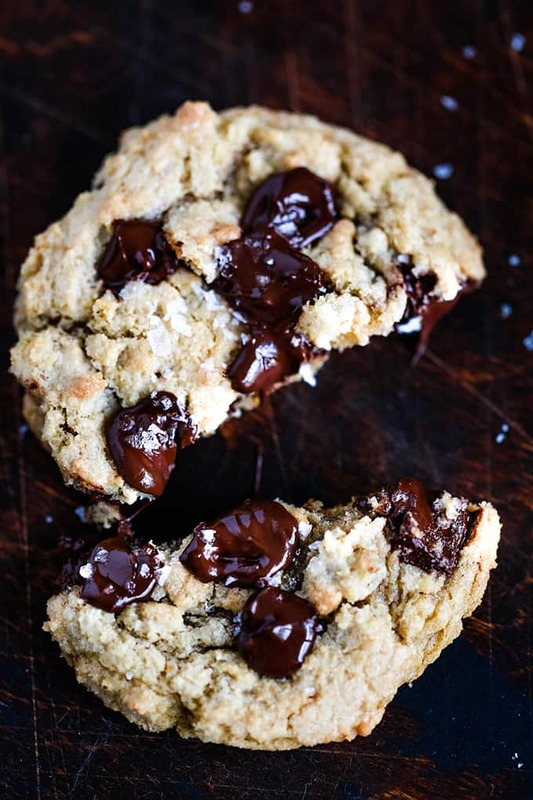 I hadn’t planned on sharing a recipe for these Salted Chocolate Chunk Cookies. I had made them once as an experiment. And then my second oldest daughter requested them as a classroom treat for her birthday. And her teacher requested the recipe. And a friend that I had given two cookies two texted me that her husband said that “it was the best cookie he had ever had!! !” (I copied and pasted that from a text. There were indeed three exclamation points.) And a friend from knitting night said I had spoiled her from liking any other cookies. I also shared a photo of them on Instagram stories and others wanted the recipe. So I took one for the team and made another batch to photograph for you. So I apologize. 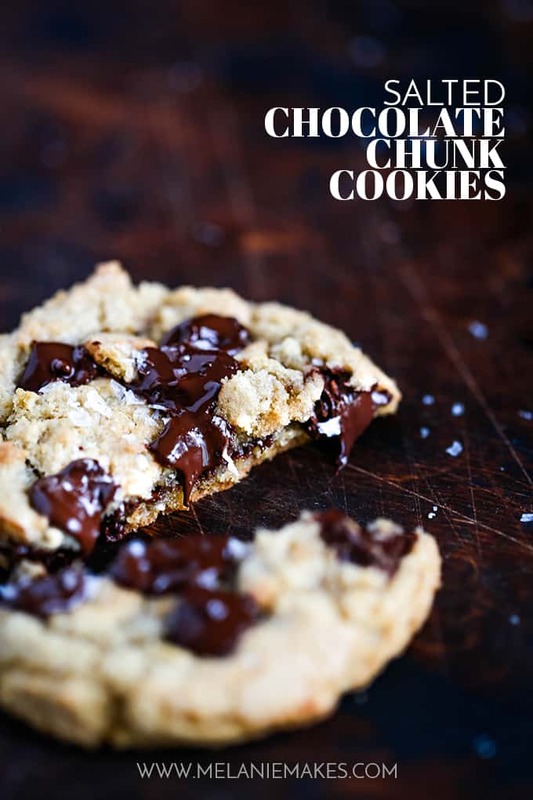 You can never have enough cookie recipes up your sleeve and believe me, these are the best Salted Chocolate Chunk Cookies around. They’re very much like a cookie straight from a bakery! I love to reach for my large cookie scoop to make these cookies truly special. 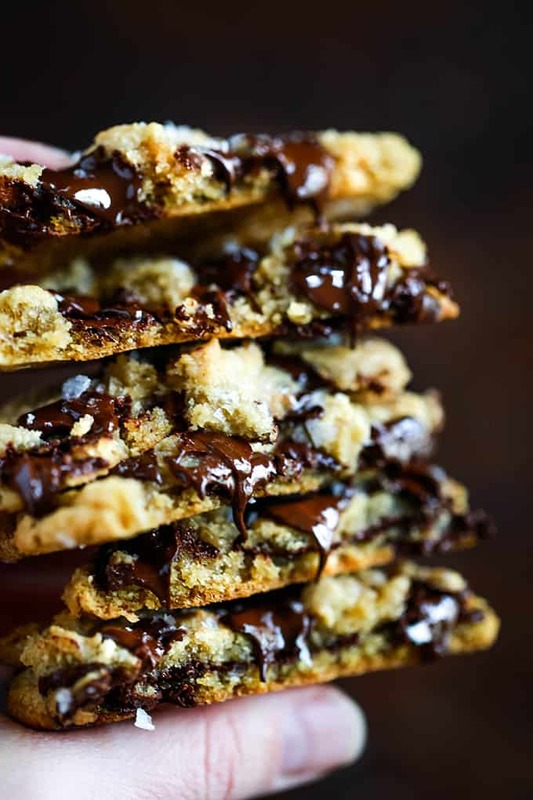 Using chocolate chunks instead of chips insures puddles of rich, melty chocolate in each cookie as well. What Does Salt Do in a Cookie Recipe? Sure, I typically use kosher salt within any cookie recipe I bake but these Salted Chocolate Chunks take it a step further. 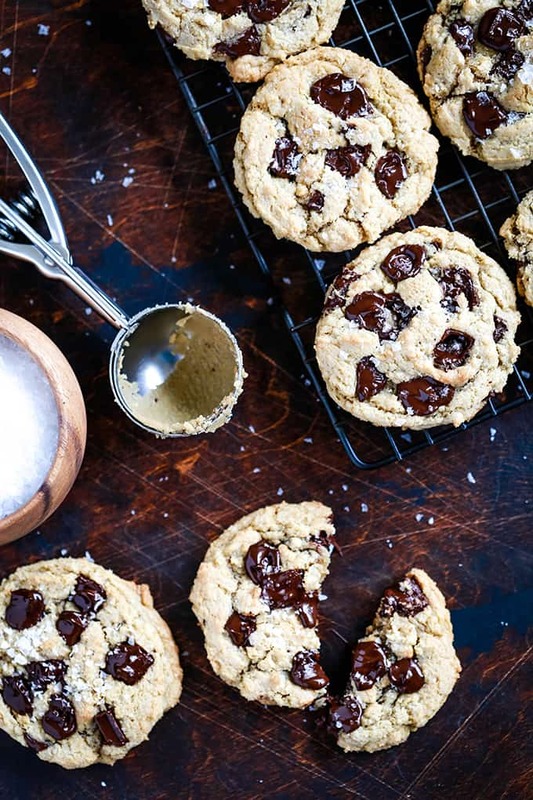 By sprinkling sea salt flakes on the top of each cookie, the salt enhances and intensifies the cookie’s other flavors, like the dark chocolate chunks. What’s the Difference Between Using Butter and Shortening in Cookies? 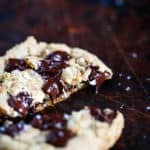 This Salted Chocolate Chunk Cookies recipe is like so many of my other cookie recipes, it’s made with shortening, NOT butter. Just like my Reese’s Pieces Chocolate Chip Cookies, Soft and Chewy Ginger Cookies and Triple Chip Cookies, they all list shortening as an ingredient. I love using shortening in my cookie recipes as it’s 100% fat and doesn’t contain milk and water like butter which causes it to melt more quickly. Instead, shortening typically results in a softer baked good which is exactly what happens with these cookies. They’re soft and chew and oh so delicious! 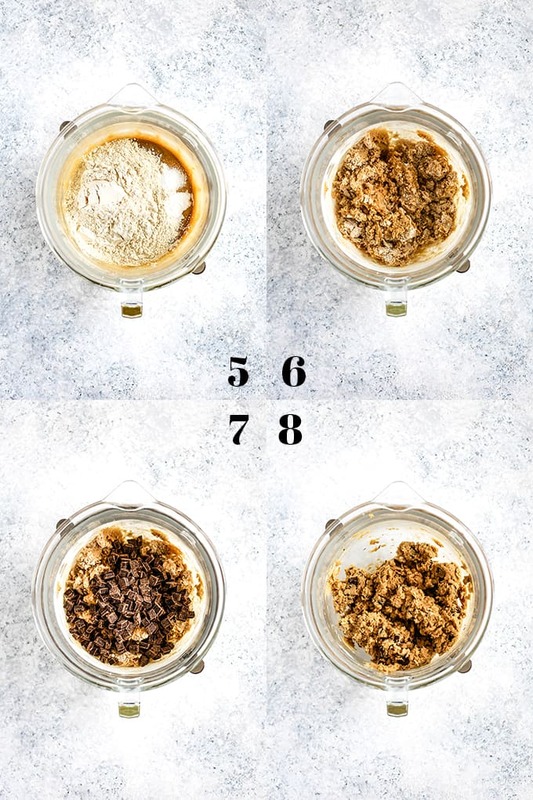 Want to make sure each cookie is delicious from the beginning of your baking session to the last? Don’t put your balls of cookie dough onto a hot cookie sheet! Instead, either allow your baking sheet to cool or to speed the process, run the back of it under cold water before adding your dough. I typically use two cookie sheets when baking a batch of cookies. After removing baked cookies from a cookie sheet, I won’t put the next batch onto the cookie sheet until right before it goes into the oven. 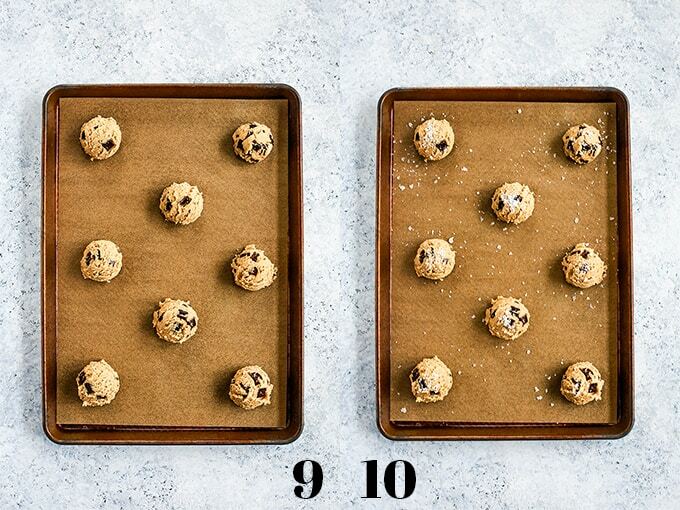 This insures that each batch of cookies bakes evenly. Add shortening, sugar and brown sugar to the bowl of an electric mixer. Cream together on medium speed until fluffy and completely combined. Add eggs, hot coffee and vanilla. TIP: Not a fan of coffee? Neither am I! I promise you won’t taste it in your cookies, instead it simply deepens the flavor of the chocolate. Mix on medium speed until completely combined. Add flour, salt and baking soda to mixing bowl. Mix on low speed until almost combined. TIP: You want to still see flour within the dough before the next step of adding the chocolate chunks. This insures that you won’t overwork the dough resulting in a tough cookie. Using a large cookie scoop, drop cookie dough onto parchment lined baking sheet. TIP: I love to use these precut parchment sheets when I’m baking to make my time in the kitchen super easy and less messy. Sprinkle sea salt flakes over the top of each cookie dough ball. TIP: I prefer Maldon sea salt flakes. They have a soft flaky texture and clean flavor that works so well with this cookie recipe. Bake at 375 degrees for 11 minutes. Add additional dark chocolate chunks to top of cookies and sprinkle with additional sea salt if desired. 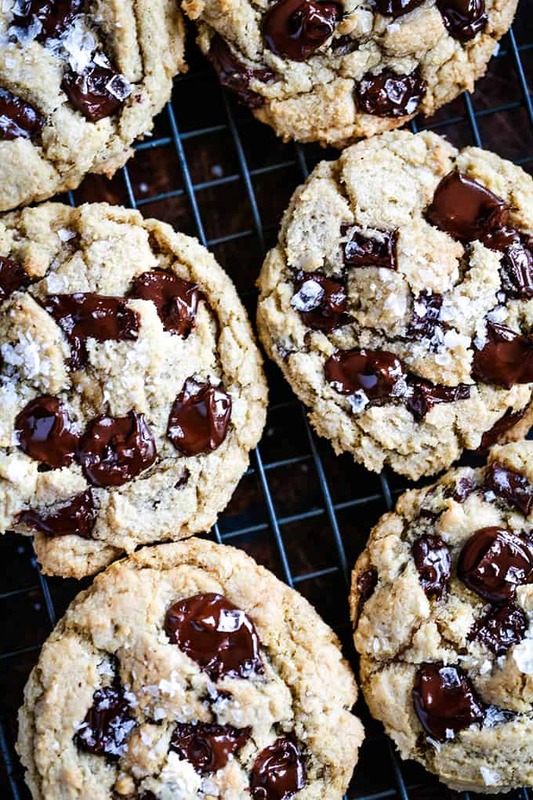 TIP: Want to make your Salted Chocolate Chunk Cookies look like they came straight from a bakery? As the chocolate melts, use a toothpick to swirl the chocolate around to create melty puddles on the top of each cookie. 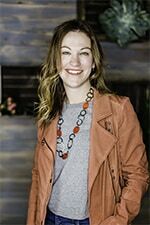 If you’ve tried these Salted Chocolate Chunk Cookies or any other recipe on Melanie Makes, please let me know your thoughts in the comments below. I love hearing from you and respond to each and every comment! 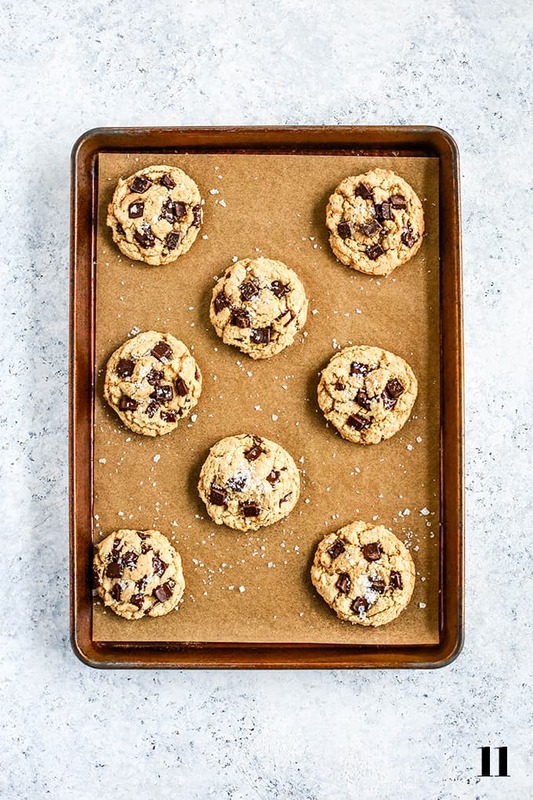 Allow cookies to cool for at least five minutes on baking sheet before removing to a cooling rack to cool completely. TIP: Not a fan of coffee? Neither am I! I promise you won't taste it in your cookies, instead it simply deepens the flavor of the chocolate. TIP: You want to still see flour within the dough before the next step of adding the chocolate chunks. This insures that you won't overwork the dough resulting in a tough cookie. Chocolate chunks make any recipe delicious! You’ll also want to try this Peanut Butter Banana Chocolate Chunk Granola, Triple Chocolate Chunk Muffins and Blueberry Chocolate Chunk Ice Cream. The family loved this recipe! So glad that it got rave reviews, Rhonda! These cookies look so good! Love how that chocolate looks in your photos! The salt in these cookies makes ALL the difference! LOVE IT! yup, totally and completely craving these cookies now. They're the ultimate chocolate chip cookie! I need these in my life ASAP! Love the sea salt flakes on top...that gets me every time! 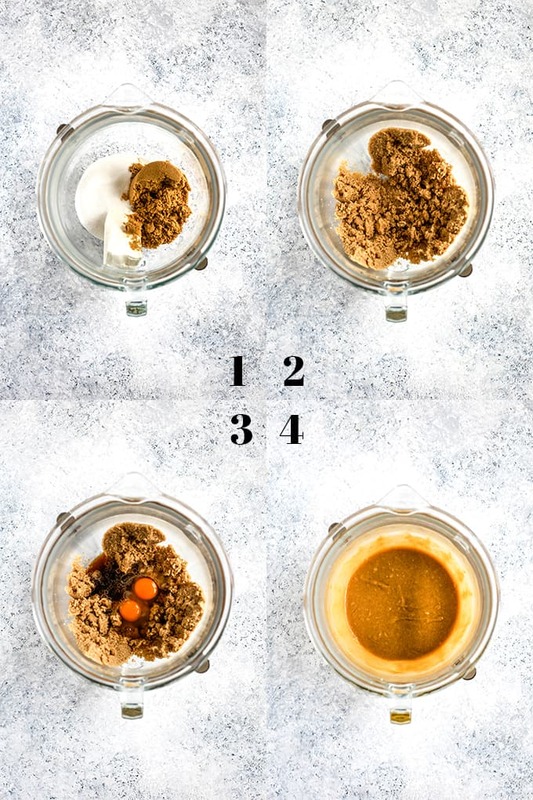 There's nothing better than the salty contrast to a sweet recipe! These cookies are sooo good! Ooh these look so gooey and delicious! Definitely making these soon!